The characters of Doctor Xander Crowe and his partner Sparrow were first introduced in the audio drama, Wormwood: A Serialized Mystery. This gave way to our comics debut, focusing in on the pair of occult investigators in our mini-series, Sparrow & Crowe: The Demoniac of Los Angeles, as well as our seasonal anthology, The Sparrow & Crowe Halloween Special. 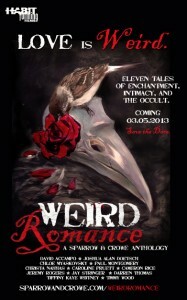 Our new anthology, WEIRD ROMANCE: A Sparrow & Crow Anthology, is now available in the Amazon Kindle Marketplace. This new volume features eleven tales of enchantment, intimacy, and the occult from co-creators David Accampo and Jeremy Rogers, as well as a host of other contributors, new and familiar. 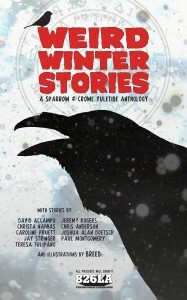 With the success of our Sparrow & Crowe Halloween Special, we’ve decided tocelebrate another holiday with Sparrow & Crowe in our new anthology, WEIRD WINTER STORIES: A Sparrow & Crowe Yuletide Anthology, on sale NOW at Amazon.com! 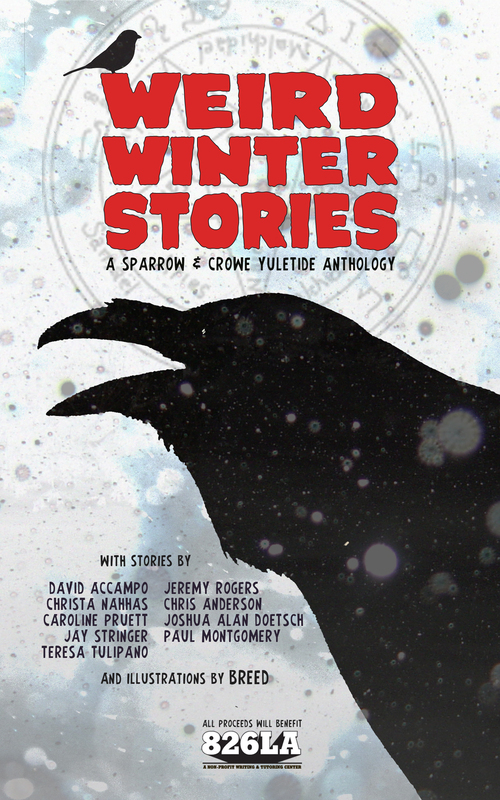 ‘Tis the season to be eerie in this volume of strange and unusual holiday tales featuring two-bit occult detective Doctor Xander Crowe and his partner, the sardonic hacker-magician, Sparrow. Together they encounter all manner of winter mysteries, from a new relationship troubled by Krampusnacht to a generational family story haunted by bloodthirsty tomte. Over the course of nine stories, the uncanny twosome come face to face with an assortment of sinister marvels, including festive homunculi, and a necessary plot to kill Santa. If you like your eggnog with a side of ectoplasm and brimstone, these Yuletide stories are ready to be read in front of a fire, with a glass of single malt whiskey, and maybe some rosary beads. Just in case.